Each year, malaria costs the African continent an estimated minimum of N 2.388 trillion (US $12 billion) in lost productivity and in some high-burden countries it can account for as much as 40 per cent of public health expenditure. 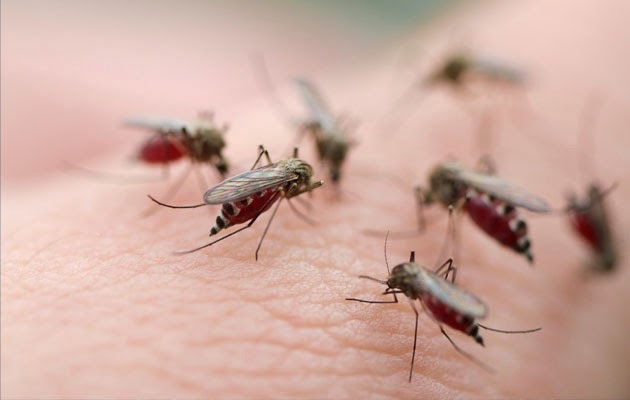 The United Nations Information Centre (UNIC) announced this ahead of World Malaria Day on Saturday, noting that the Roll Back Malaria Partnership has urged for increased investment for Global Malaria Elimination. A statement on Tuesday, signed by Oluseyi Soremekun, National Information Officer, UNIC, the Roll Back Malaria (RBM) Partnership highlights that progress made against malaria – while remarkable – remains fragile. The statement said: “As communities worldwide prepare to commemorate the last World Malaria Day under the United Nations Millennium Development Goals (MDGs) this Saturday, the Roll Back Malaria (RBM) Partnership highlights that progress made against malaria – while remarkable – remains fragile.” With just months before the MDGs expire at the end of 2015 and the world transitions to an ambitious set of Sustainable Development Goals (SDGs) to guide efforts through 2030, RBM partners across sectors have taken this opportunity to mark the progress made while urging the importance of sustained commitment to build on the successes achieved since the turn of the millennium. “Malaria control has proven to be one of the smartest investments in health we can make. This is why it is one of my priorities,” the United Nations Secretary-General Ban Ki-moon said. “When we target our funds in proven malaria control interventions, we create healthier communities and more robust economies. Now more than ever, partnership will be crucial to ensure we can build on our successes and leave no one behind.” “We have come half the distance with half the funds,” said Dr. Fatoumata Nafo-Traoré, Executive Director of the Roll Back Malaria Partnership. “To beat growing threats like insecticide and drug resistance, we must re-commit ourselves and raise our ambitions. We must continue to tackle the unfinished business of the MDGs and aim for elimination in the next 15 years.” With more than half of the world’s population at risk of infection, malaria presents an alarming threat to global development. Each year, malaria costs the African continent an estimated minimum of US $12 billion in lost productivity, and in some high-burden countries it can account for as much as 40 per cent of public health expenditure. Malaria control interventions help advance broader development efforts by reducing school absenteeism, fighting poverty, increasing gender parity and improving maternal and child health. Lives saved from malaria control interventions have been linked to a 20 per cent reduction in all-cause child mortality in sub-Saharan Africa since 2000 and have helped drive progress against MDG4, while efforts to prevent malaria in pregnancy have averted nearly 95,000 newborn deaths between 2009 and 2012. These numbers represent an entire generation given the chance to live healthy lives and grow into strong, contributing members of their societies. Still, efforts continue to leave communities behind. In Africa alone, 10,000 women and as many as 200,000 infants are estimated to die annually as a result of malaria infection during pregnancy. In 2013, an estimated 15 million of the 35 million pregnant women in sub-Saharan Africa did not receive a single dose of preventive treatment during their pregnancy to protect them and their unborn child from malaria. In response, the RBM Partnership has issued a global call to action to increase national coverage with preventive treatment in pregnancy. Adequate and predictable financing and innovations for new tools will be critical to scale-up interventions and continue progress toward ambitious malaria elimination targets. While total international and domestic financing peaked at US $2.6 billion in 2013, this remains significantly lower than the US $5.1 billion RBM estimates is needed annually to achieve universal access and meet global targets. Experts estimate that just more than US $100 billion is needed to completely eliminate malaria by 2030. A high price tag, this investment carries a significant return: a potential 12 million lives saved, nearly three billion cases averted worldwide and a global gain of US $270 billion if the disease is eliminated in sub-Saharan Africa alone. Later this year, the RBM Partnership will launch its second generation global malaria action plan – Action and Investment to defeat Malaria (AIM) 2016-2030: for a Malaria-Free World – which, together with the WHO’s updated Global Technical Strategy: 2016-2030, makes the case for eliminating the scourge of malaria over the next 15 years and avoiding the resurgence of the disease, with its associated crippling economic cost and avoidable deaths. “Over the past fifteen years, we have seen that we have the tools necessary to overcome malaria and unlock potential in communities around the world,” said Dr. Pedro Alonso, Director of the World Health Organization’s Global Malaria Programme. “Now, more than ever, we must continue working together in partnership and making bold investments in malaria so that we can deliver on the promises we’ve made to the people of the world.” Instituted by WHO Member States during the 2007 World Health Assembly, World Malaria Day is celebrated on 25 April each year to highlight the need for continued investment and sustained political commitment for malaria control and elimination. The theme for the 2013-2015 campaign is “Invest in the Future. 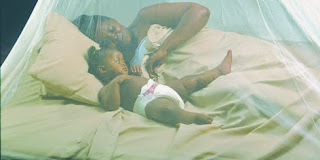 Defeat malaria”.